Everyone knows that the lottery is a gamble. You play your numbers each week and hope to be the big winner. Unfortunately, for most people, that gamble never pays off. Avoidance as an aspect of social anxiety disorder (SAD) refers to the things that you do to protect yourself from feeling anxious. Usually, this means either avoiding social and performance situations altogether, or facing them with "safety behaviors" such as hiding your hands, your face, speaking in a quiet voice, etc. 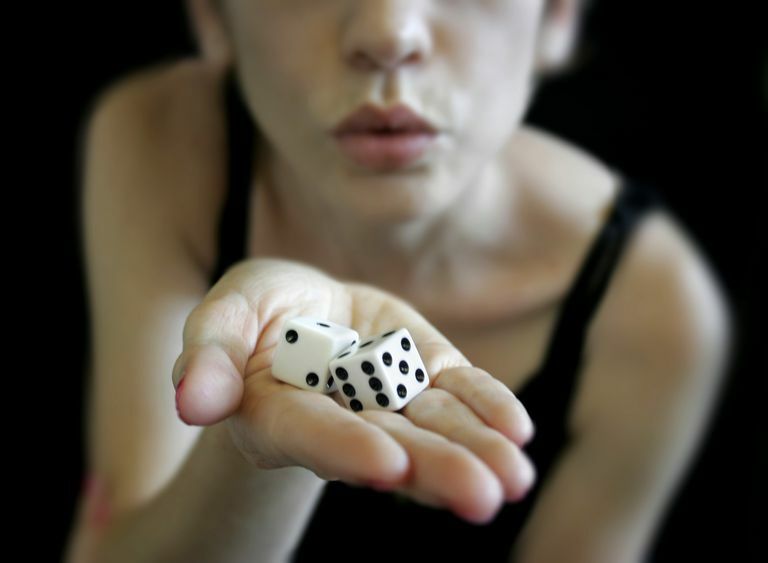 In the context of social anxiety, avoidance can be thought of as a gamble. What is the cost and what is the payoff? For most people, you are gambling with a hope that if you can just stay safe, then nobody will ever see you act stupid, make a mistake, or embarrass yourself. You will never give a speech and flub your words. You will never be at a party and have nobody to talk to. You will never spill your drink because your hand was shaking so much. You will be perfect. Congratulations, you won. But guess what? The prize isn't what you thought it would be. Perfection will become your prison. The gamble that you can just stay perfect if you avoid any sort of interaction will consume your life. And your life will narrow. What's the alternative? Here are 3 ways to stop gambling on a future of perfection. Realize that perfection is an illusion. People with social anxiety are saddled with the notion that there is a "right" way and a "wrong" way to do everything. Does everyone you know act the same way. Do they all answer the phone the same way? Speak at the same volume? Laugh to the same degree? The world is a much more forgiving place of diversity than you give it credit for. There is a wide range of behavior that is considered socially acceptable. As long as you are not being aggressive, confrontational, neglectful, hurtful, or any of the other qualities that generally cause harm to others, most people will cut you some slack. Give yourself that same leeway to be a bit off-kilter. See your anxiety as endearing and a unique part of who you are. Poke fun at yourself for it. Be real and imperfect. You might be surprised at the reaction you get. Imagine if you took every penny that you ever spent on the lottery and put it into a bank account instead. Now, imagine that the bank account was paying an interest rate, and over time that sum grew into a significant amount of savings. Eventually, you might not have won the lottery, but you would have safely invested and have something to show for it. The same can be said about avoidance. Instead of gambling away each potential social encounter or performance situation as a chance to "stay perfect" and "not make a mistake," what if you gathered each of those situations over time as chances to learn? How much would you have grown over the same period? You might subscribe to the notion that if you suffer with social anxiety, your skin is not as thick as other people — that exposing yourself to situations causes too much anxiety, stress, pain, and suffering. Stop thinking so far ahead. As a first-time runner, would you sign up for a marathon? Exposure does not mean jumping into the deep end of the pool. Build your resilience slowly. Take one small step at a time to becoming more comfortable.